Not every trip to Disney World has to be 7+ days long. There are lots of reasons why you may want to plan a shorter trip (or even a long weekend) visiting Mickey and friends. 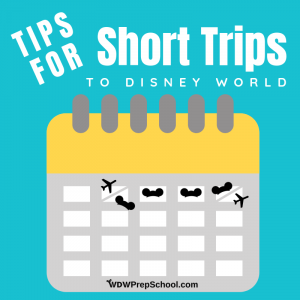 When planning a short trip to Disney World, though, you will want to think about things a little bit differently when you plan. What do we consider "short"? When we are talking about short trips we usually mean trips around 4 days or fewer. This could be a long weekend or maybe even extending a stay after attending a conference or sporting event in the Orlando area. If your trip is much longer than 4 days, consider following our regular planning advice as a starting point and then supplementing that with any of the applicable tips below. Even if your trip was 30 days long, you still couldn't see and do everything. So, if you're planning a long weekend, you'll really need to figure out the focus of your trip before you go. Is this a girls weekend? A father-son trip? Are you doing a runDisney race or maybe only want to see the holiday decorations or attend Mickey's Not-So-Scary Halloween Party? Whatever the "thing" is that got you planning this trip should be the driving factor for determining how you plan to spend your days. Use that as the trip's "theme," if you will. Girls trip? 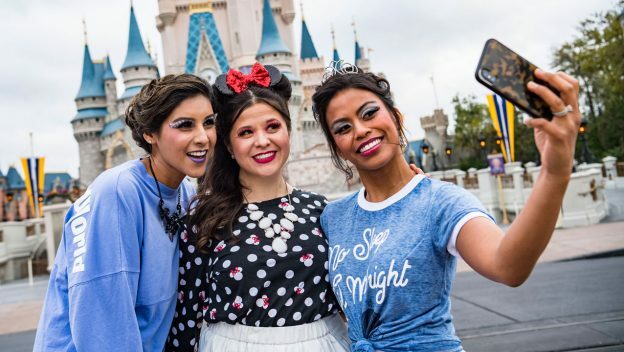 Plan time to do the things you and your friends love the most, whether that be hitting the thrill rides, some spa time, or maybe even playing a little "dress up" with a Character Couture Package. Heading down for Mickey's Very Merry Christmas Party? 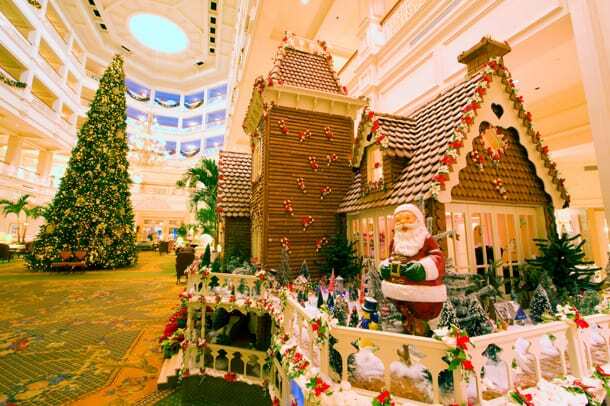 Take time to explore the decorations at the other parks (and resorts!) too. One of the best parts about Disney World is the amount of fun and exciting things there are to see and do. But, that can also work against you because it is very easy to feel like you'll be missing out if you don't do that "thing" you just read or heard about. Trust us on this - you aren't missing out. Instead of packing every last minute of your trip, pick a few things each day that are your must-do items. That could be attractions or meals, or it could be special experiences like tours or dessert parties. 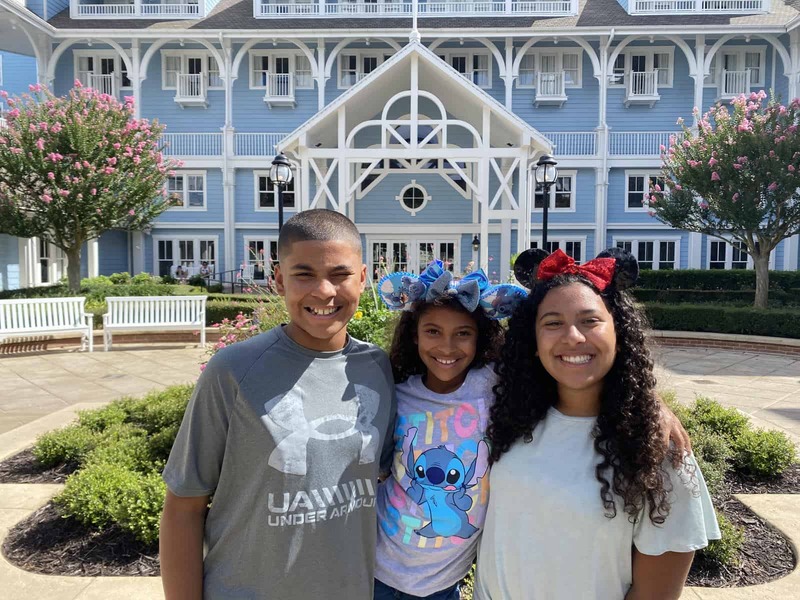 Be intentional about limiting your scope and you'll find the pressure (and pace) of your time at the Walt Disney World Resort will be much more enjoyable. If you'll be flying, maximize your limited time by picking flights that arrive early on your way to Orlando and leave late on the day you return home. Even though early morning flights can be hard to wake up for, they get you to the action faster and, as an added bonus, the earlier the flight, the less likely you'll get delayed on your way to Orlando. If you used online check-in, you can land, drop your carry-on bags off at the resort, and then head to the parks. On your final day, you can use Resort Airline Check In, store your other bags with Bell Services, and get a few more hours of park time in. If it isn't possible to arrive or leave Orlando at a decent time, weigh the pros and cons (and cost) of taking a late flight and coming in the night before. Sometimes the lower price of late flights can offset the cost of the extra night at the hotel and depending on the flight time you may not even need to take an extra day off work (if that is a consideration). There are lots of resorts where the resort's location doesn't significantly impact the travel time to any of the parks. These are primarily the resorts that exclusively use buses to get to the parks. But, for the resorts that put you close enough to walk or have monorail access to a park, make sure you pick the one that makes the most sense for your trip. Until the Disney Skyliner system is completed, the resorts with access to the parks other than via a bus are all at the Deluxe and Deluxe Villa level (read: most expensive). Of course, if you are picking a resort because you plan to spend a significant amount of time there, that is different. But, if you are spending most of your time out in the parks, and it is in your budget to choose a Deluxe or Deluxe Villa level resort, choose wisely. Generally for longer trips, Park Hopper tickets aren't a necessity. But, if your trip is shorter in length it might make sense to go ahead and shell out the money for them. Using Park Hopper Tickets will allow you to hit up multiple parks in 1 day, meaning you can take advantage of rope drop at one park and late hours at another. The Park Hopper option isn't cheap, so make sure it makes sense before you splurge and add it on. Remember, you can always upgrade your ticket, but if you find that once you arrive and you don't need it, you can't get your money back. There are several parties and events that give you extra access to the parks and, oftentimes, these can be a perfect way for people on shorter trips to get more park time in. If you are lucky enough to have your trip fall during one of the events listed below, it might be worth it to think about purchasing a ticket. Aside from the 2 Early Morning Magic events, your party ticket is the only thing you need to get you into the park. For those you won't need a regular park ticket, which means in some cases, you can decrease the number of ticket days you buy or eliminate buying a Park Hopper ticket. Both of those things can help offset a large chunk of the cost of the party/special event ticket, so it is definitely worth your while to put pen to paper to figure out if it might make sense for you. Disney does an excellent job promoting their Extra Magic Hours (EMHs). Lots and lots of people use the Extra Magic Hours schedule published by Disney to plan which park they'll go to each day even if they don't plan on waking up for the Early EMHs or staying late for the Evening EMHs. What this means is that the parks hosting Extra Magic Hours will always be the busiest parks of the day and, consequently, we generally recommend you avoid them. However, since lots of people won't get up early or stay late, if you have Park Hopper tickets and you can arrive at least 30 minutes before Extra Magic Hours start in the morning OR you can stay up late enough to make full use of the Evening EMHs, it may be worth it to attend just the Extra Magic Hours and use your Park Hopper ticket to hit up a different park for the rest of the day. One of the biggest Disney "aha" moments I have ever had was listening to a WDW Prep to Go Podcast where the guest described how she cut the length of their trip down and used the money they saved from that to splurge on a VIP Tour Guide for a day. I remember thinking at the time how brilliant of an idea that was. 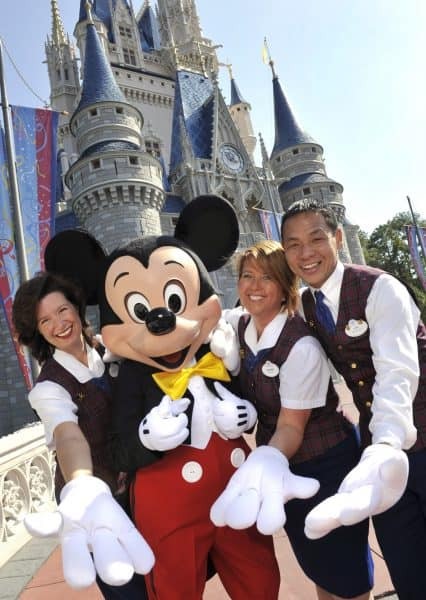 If you are planning a shorter trip and want to truly maximize your time, think about getting a VIP Tour Guide or checking out one of the other fabulous tours Disney offers. Many of those tours give you access to rides and offer unique and truly magical experiences - both perfect things for a shorter trip! When a trip is already short on time, waiting for a bus can be extra frustrating. If you are looking for the quickest way to get anywhere on property (and you aren't heading someplace you can walk), Minnie Vans, Ubers, and taxis will always be your quickest option. 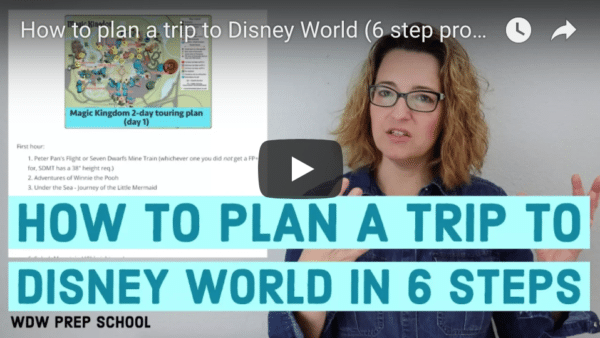 If none of those are something that will work for you, make sure you check out the WDW Prep School Navigator to see what (if any) other options you have for getting from point A to point B. If your plans include dining at any of the Quick Service locations, make sure you take advantage of Mobile Ordering. 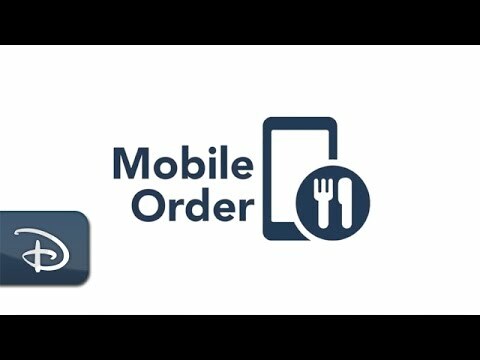 Mobile Ordering, while not perfect, can definitely cut down on your wait for food, which means you can get back to the fun faster. Another good option to save time is to eat breakfast in your room before you head out. You can order groceries online or bring things with you from home. But whichever route you choose, eating in your room will save you precious time that you can use for things that are more fun - like riding attractions in the parks! Finally, some people can go from sun up to sun down and while on a short trip to Disney World that can be easy to do. But, pushing yourself (and your family) too hard can backfire and ruin a trip. If you find yourself rushing so much that you aren't enjoying anything, take a step back, regroup, and look for the happy medium that lets you maximize your vacation time while also leaving you plenty of room for fun (and happy memories). Have any any short trip to Disney World success stories (or failures)? Tell us about them in the comments. I have my first 4 day trip in May (solo). I skipped sit down dinners to cut down on time. I love Disney dining and character meals, but this trip I want to focus on the parks. In fact, all meals will be in park at quick service or snacks. I booked a 5:40am flight arriving at 8:40 and departing flight is 9:50 pm. You’ve got great tips for going to Disney World. I love how you said that eating should be done quickly to maximize the time you have in the park. My family is planning our first trip this summer, so I’ll tell them about this! We will be enjoying the parks for four days in mid November. We actually chose to not get park hopper to help prevent overdoing it. We will be doing the Christmas party so on our Hollywood Studios day we will go to two parks.